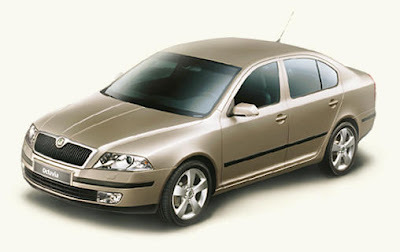 KIEV, Ukraine -- Eurocar, the official supplier of Skoda cars to Ukraine, in January-October 2010 increased car sales by 15% from 2009, to 5,692 vehicles, the company's press service has reported. In October, Skoda sales grew by 36% compared to September 2010 that allowed the company to rise from the ninth to the sixth position in the top ten operators of the domestic car market. According to a press release, in October 2010, the sale of Skoda Fabia and Skoda Octavia A5 cars doubled compared to 2009, that of Skoda Superb cars grew by 2.5 times, and Skoda Roomster cars- by 2.7 times. In addition, the sale of Skoda Yeti cars rose by 68% in October compared to September 2010. Eurocar has been operating since March 2002 and is part of Atoll Holding Group, one of the leading car market players in Ukraine.